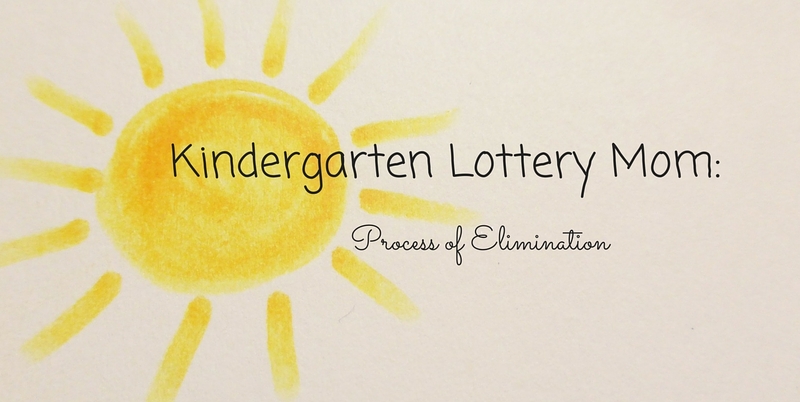 Editor’s Note: This is the second in a series (find Part 1 here) by a parent going through the Champaign Unit 4 Schools kindergarten lottery process. Families have until March 31 to submit their choices to the Family Information Center. Why does this have to be so hard? I understand the reasoning behind Schools of Choice; believe me, I do. And socio-economic diversity is one of the primary reasons we want to choose Unit 4 Schools for our children. I’m a product of Unit 4, and very proud of it. However, I’m also starting to understand why so many of my friends and former classmates are opting out: moving to smaller communities, homeschooling, or sending their children one of the many excellent private schools in the area. Like with everything else that stresses me out, I created a plan, and I’m working through the steps of the plan in hopes that it will produce an end result that works for all of us. Kenwood, Barkstall, Robeson, Garden Hills and Carrie Busey are all very much out of the way for us, neither close to home or work. Though we could probably make it work, I would prefer not to add 20 minutes to my commute each day (isn’t that the point of living in Champaign? ), and though I know plenty of parents who do it, I’m not ready to put my kindergartener on a bus for an hour each day. We love Westview (and it’s my elementary alma mater), but it may have to go further down on the list simply because of the early start time. We are not morning people in my house. But did you know they have an awesome new climbing wall in their community room? Way to go, Westview PTA! We attended the first forum hosted at Garden Hills on January 26. I thought that the event was well organized, and it included a general overview of the process and resources by Unit 4 staff. My husband was particularly impressed by the amount of data available on the Schools of Choice website. Ahem. Clearly he didn’t read my first ChambanaMoms article. In addition to the presentation, each of the schools had a booth parents could visit, which included general information about the school, examples of schoolwork, and take home materials. Each school was represented by their principal and one or two kindergarten teachers, sometimes an assistant principal as well. This was the best part of the event. Honestly, two of the schools we visited during the open houses were chosen because we were so impressed by the faculty and staff. The one thing that surprised me about this event was the attendance. I estimated maybe 25 families? I swear there were more Unit 4 staff members there than parents. We used the Showcase of Schools to help us narrow down which schools to visit over the next several weeks. Obviously, our two proximity schools would be first, and then additional schools if we had particular interest in them. This part of the process is the most critical, and unfortunately, also the most difficult. My husband and I both work full time, and though we have very flexible schedules, it is still hard to find the time to visit all the schools we are evaluating during the school day. We did attend the one evening open house, and managed to fit three schools into the allotted two-hour timeframe, but it was pretty rushed. I know that the district has worked hard to provide a lot of opportunities to visit the schools, but why only one evening open house? I know it’s more work for the schools, but what if half the schools were open a night in February, and the other half in March? Unless all of the schools you want to visit were scheduled for the same evening, this might give parents an opportunity to spend more time at each school, rather than rushing from one to another (we ran into a few of the same parents more than once). I do think the daytime open houses are well scheduled, and there is absolutely something to be gained by seeing the school while children are present. Unfortunately, with our schedules, we have only been able to visit two schools during the day so far. Since there are more dates coming up in March, we hope to visit one or two more schools during the day. Though conceivably daytime visits would be easier for stay-at-home parents, I am skeptical as to how this would work. I saw more than one mom wrangling a toddler and preschooler while attempting to listen to a tour guide. And even if the SAHP makes it work, what about the other parent? Believe it or not, in most families both parents are equally interested in their child’s education. All this to say – more evening opportunities please! I’m taking every opportunity I can to talk to other parents about their experiences at the schools we are most interested in. I’ve had coffee or lunch with a few other parents, but I would also like to hear from you. So far our top four schools are (in no particular order): Bottenfield, International Preparatory Academy (more on this school in a later article), Westview, and Southside. We may add one or two other schools to our list to visit, but that has a downside. We might fall in love with a school that is just outside of our proximity (hello Southside), and then feel depressed knowing that we have virtually no chance of getting in. In any case, I would love to talk to other parents whose children attend Unit 4 schools, so please feel free to reach out or comment! Katie Blakeman is a proud townie, married to Champaign City Planner T.J. Blakeman. Katie and T.J. consider themselves the Champaign welcome wagon, telling everyone they know how awesome it is to live in Champaign. Mother to Mary Ella and Juliana, Katie also serves as the Champaign County Circuit Clerk. Also, if you recently received a jury summons from her, please don’t take it personally.